This is an interesting idea for a workshop, The course will run from the 6th – 12th November 2013. Arrive at Las Nuevas, acclimate, settle in, welcome dinner and presentation by Instructors followed by group Portfolio Review. Morning: Battle Field First Aid Drills. Morning: Final preparations for 24+ hour Field Exercise. Afternoon: Field Exercise* begins and will include a night in the open. 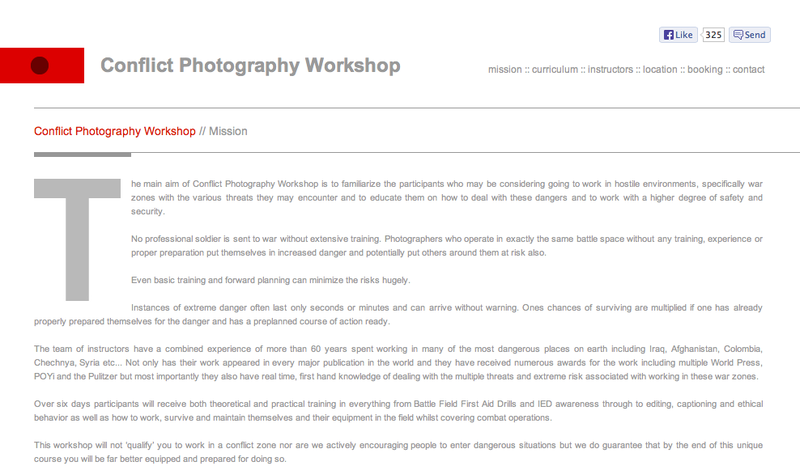 This looks like a interesting photography workshop. I would love to attend but time will not allow me to as I will be busy teaching at this time of year.